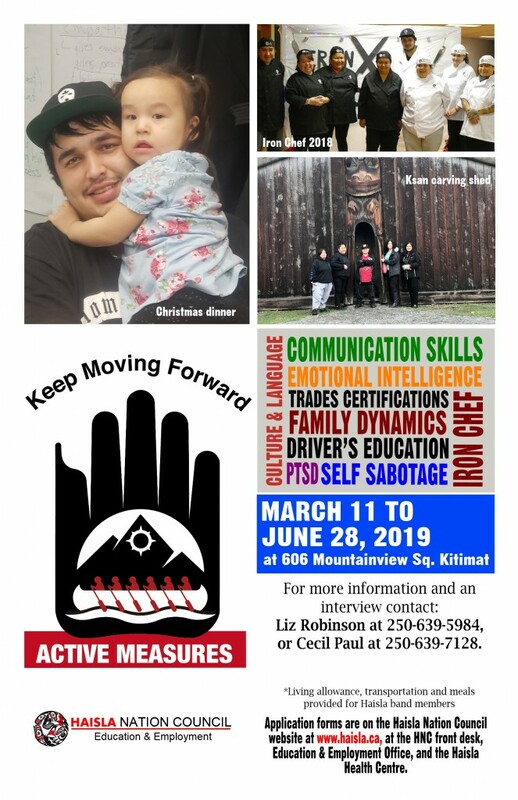 The Active Measures program is run by Haisla Nation Council, and is a life-skills program to introduce participants to a number of valuable skills which will lead to steady and rewarding employment. Space is limited in the program and applicants will be interviewed for their suitability for the program. Want to apply for the next intake for Active Measures? Click here to download and fill out the application form.